Love is getting a second chance. Recently, WE tv announced they’ve renewed Love After Lockup for a second season. WE tv has ordered 10 episodes for season two of Love After Lockup, which is slated to premiere in 2019. NEW YORK, NY – February 9, 2018 – WE tv announced today that its hit new series, “Love After Lockup” has been renewed for an expanded second season just four weeks into its initial 7-episode run. The fastest-growing new cable series for 2018 has grown audience every week since its premiere in women 25-54, adults 25-54 and adults 18-49 – already up 86 percent among women 25-54 and 62 percent among adults 25-54 from the premiere in Nielsen live+3 ratings. “Love After Lockup” and other WE tv originals have driven double-digit growth for WE tv in all key demographics from a year ago, remarkable performance in this competitive environment. The network in prime time live+3 Nielsen ratings is up 31 percent in adults 18-49 (#2 in all of ad-supported entertainment cable), 28 percent in women 18-49 (#3 in ad-supported entertainment cable) and 26 percent in adults 25-54 (#4 in ad-supported entertainment cable), year-over-year. WE tv airs new episodes of “Love After Lockup” at 10 p.m. ET/PT on Fridays. The second season is planned for 10 episodes in 2019. “Love After Lockup” follows six couples who share the emotional journey of being united for the first time after years of supervised visits, recorded phone calls, and handwritten letters, as they transition from love with one partner behind bars to daily life together and, maybe, a trip to the marriage altar. From the producers of the hit show “90 Day Fiancé,” the series introduced the couples as they prepared for the big release day – and an even bigger wedding day. As most of these couples have never had unsupervised contact with one another, viewers watched as they experienced several “firsts” including dates, meeting the family and other nerve-wracking, intimate moments. What do you think? Have you seen Love After Lockup? Will you watch season two? 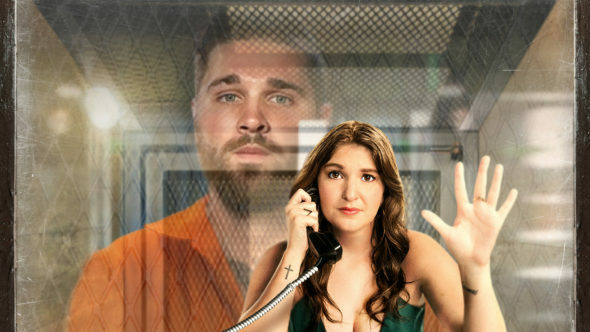 More about: Love After Lockup, Love After Lockup: canceled or renewed?, WE tv TV shows: canceled or renewed?